Menards is a home remodel retailer similar to Home Depot. They have a facility in Illinois which takes all the old wooden pallets used in their business and grinds them up and runs it by a large magnet which removes the nails and metal. They then give the finished wood chips away if you will haul them. My uncle has a large straight truck which is used mostly to take mulch and potting soil into Chicago in places a semi tractor trailer can’t access. He brought me a load for $450, which covers his gas, but not much for his time. The photo above shows about 60% of the load, as I had him dump it in front of two hoop buildings. I’m able to use my loader and put it about a foot deep in two hoop buildings. It makes a great base onto which I spread straw weekly, or as the pigs need it. 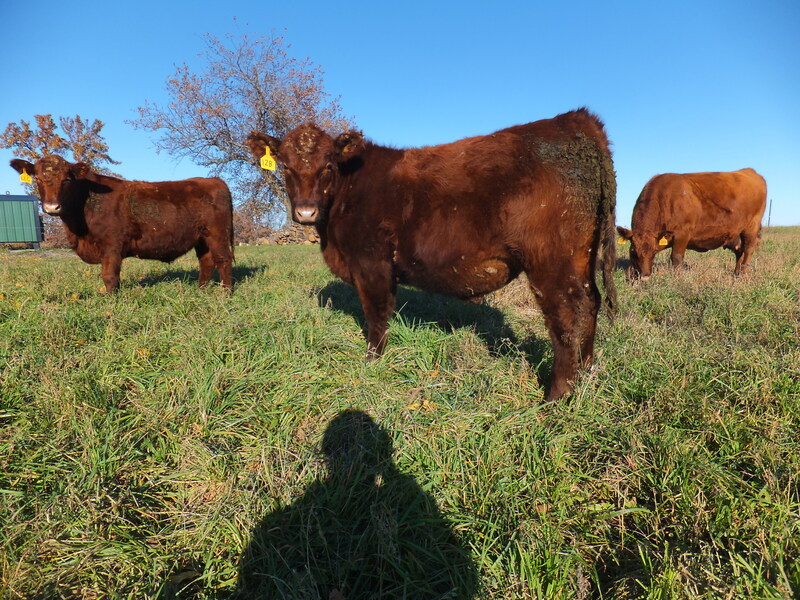 When I haul the manure onto the fields I can still see some of the wood chips, but it appears they break down rapidly in the field because I have never seen any intact later. In the bottom photo you may be able to see a sow eating at the large feeder. 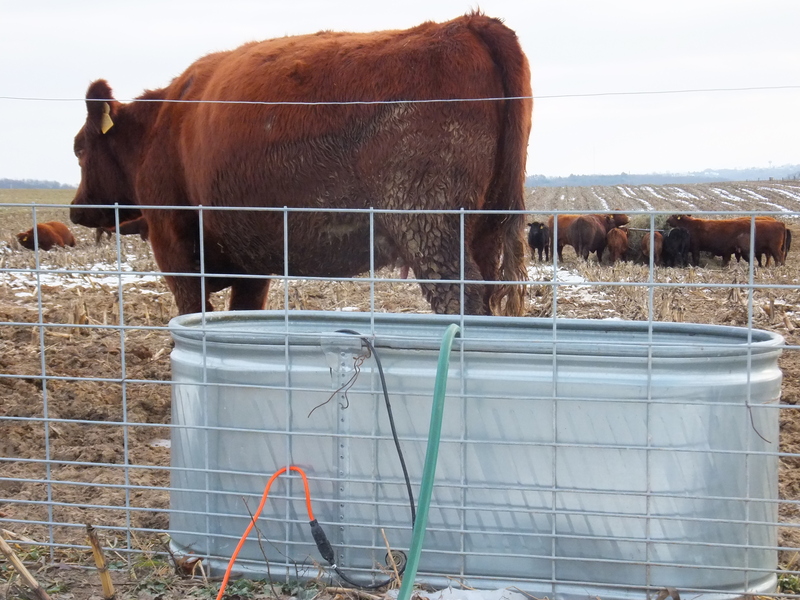 Since I’m using more pasture for my hogs I’m using some of my hoop buildings differently. 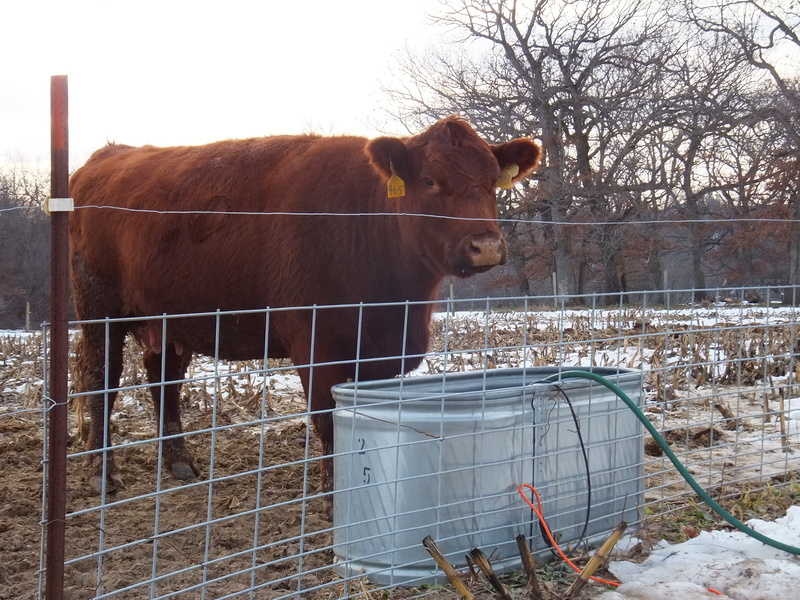 In the warm months when they can be out, I have shelters in the pasture, but I let the hogs come into the hoop building for water and feed, fencing off the rest of the hoop building and using that part for machinery storage. 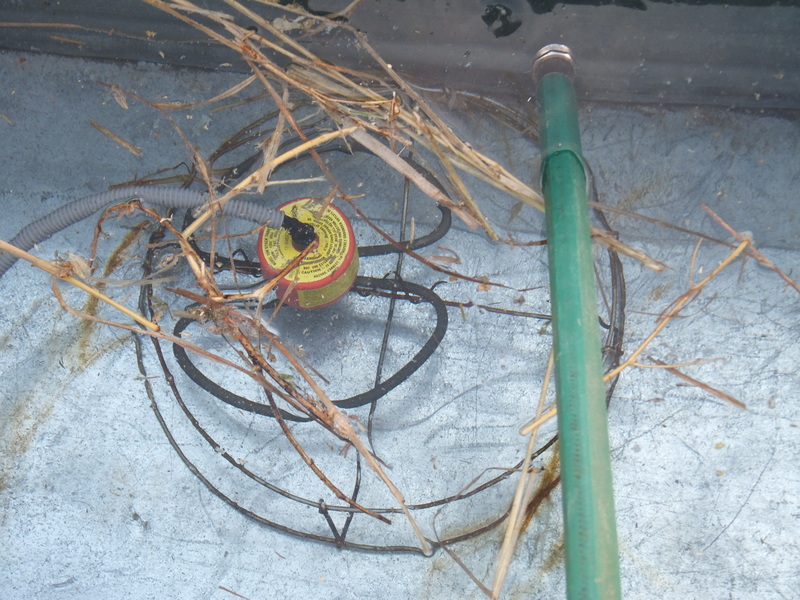 In the cold, wet months I’ll give the hogs access to the rest of the building. I used all the corn I grew last year and have been purchasing corn from my parents, but it looks like I may use up that supply before fall harvest. It’s going to be close, though. So instead of purchasing a small amount of corn which would be a pain to auger into a bin only to shovel back out, I priced a complete feed delivered right into my pig feeders. The price Big Gain has right now for 16% protein pig feed is $825 for two ton, delivered into my feeder. If I were to mix my own ration, I could do two ton for $510, not counting the cost of my time and machinery. 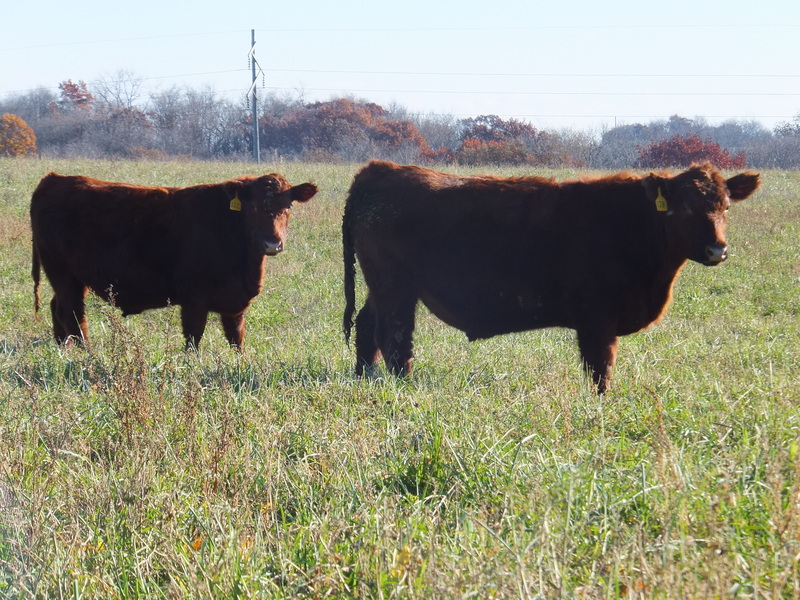 The cost of the bulk feed is $.21 per lb and the cost of the mix-my-own feed is $.13 per lb. This seems like a hefty premium to pay for convenience, but I may buy some if I’m cutting it very close. 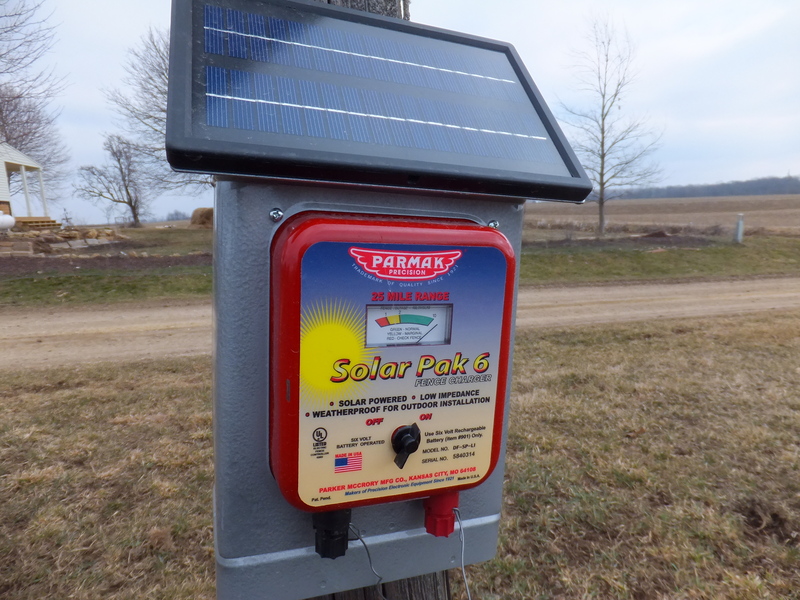 I purchased a Parmak solar fence charger to power the electric fence around my farrowing pasture. This is my first experience with a solar charger and it’s working fine. I paid $200 at my local hardware store. I hung it on the electric pole and grounded it to the ground running down the pole. Does anyone know if this is a bad idea? 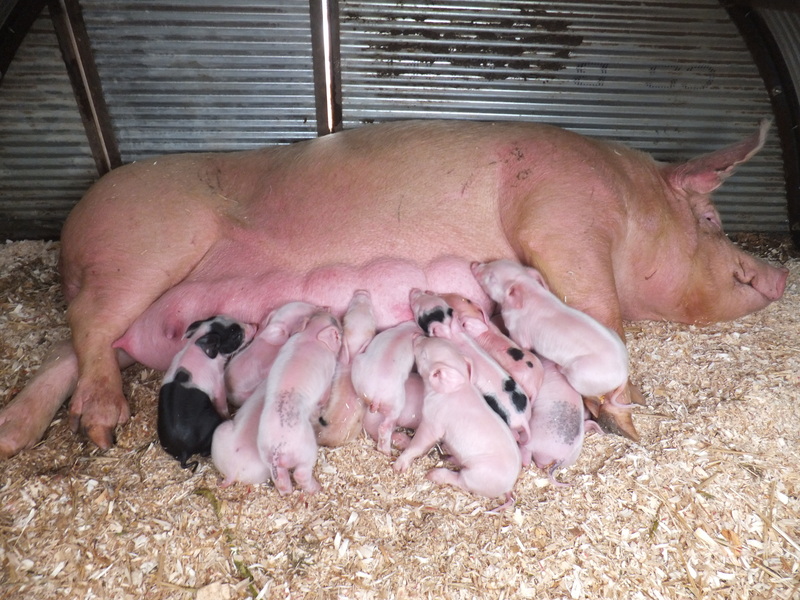 17 of the first 22 piglets born to my spring litters. I guess labeling them as spring litters alludes you to my delusions, which the past six days have exposed. I thought farrowing in a hoop building in January would be the most difficult farrowing I would ever experience. Farrowing in huts in 30ish F weather in a blizzard followed by over an inch of rain has proven more difficult. I guess Jude Becker purchased insulated farrowing huts for a reason. I put one bag of wood shavings in each shelter along with a couple slices of straw. I thought I could add straw for warmth as needed. What I didn’t think about was the frozen ground underneath. 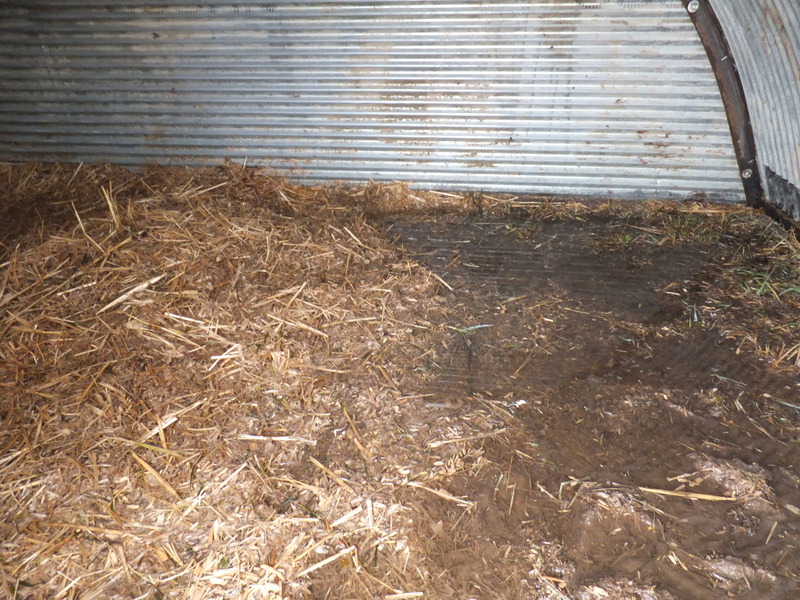 Last year farrowing in the hoop building I had the advantage of a bedding pack for warmth, not frozen ground. On Tuesday a couple of sows acted like they were ready to farrow. A blizzard was forecast for that night. I locked one sow up in a shelter and for some reason I can’t remember did not lock up the other one. At first light I checked on the sows. 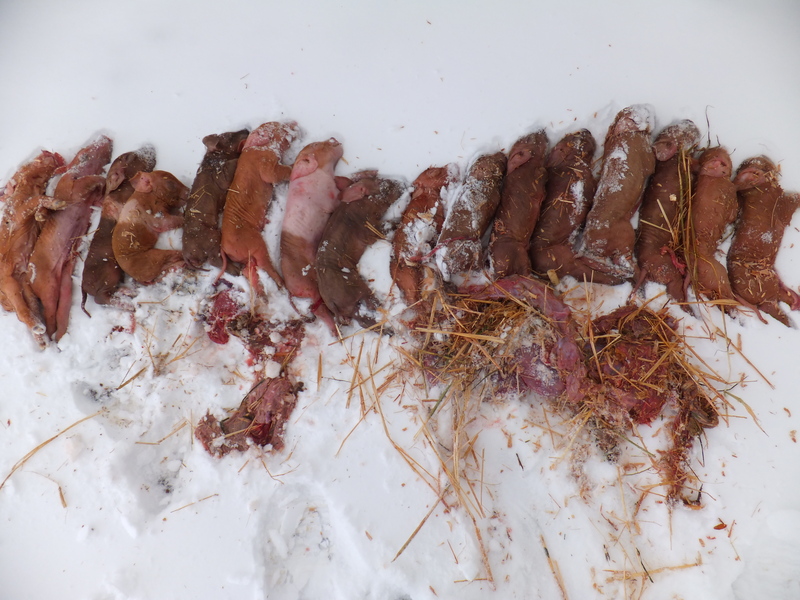 The sow who was locked up had four out of twelve piglets alive. The other sow had one out of ten alive. The problem was moisture along with cold. Snow had blown into the shelters, especially the open-door one. I transferred the lone piglet to the litter with four. All five piglets are still alive. I realized I needed more bedding and it needed to be absorbent. 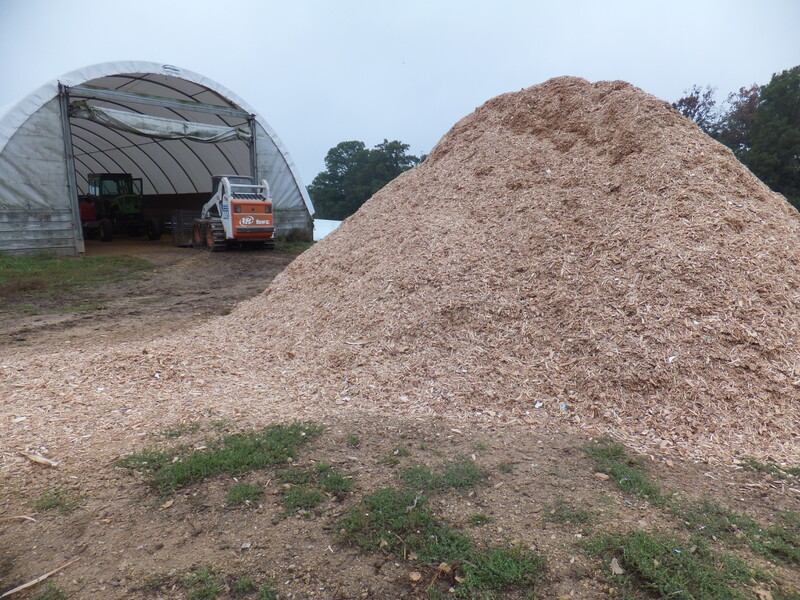 So I started buying wood shavings and have probably put at least four bags of wood shavings in each shelter over the past five days. I knew the piglets needed to get dry if they were going to resist the cold. It has been raining the past two days. Below is a picture of a shelter I abandoned because I didn’t need it. The rain is not soaking into the frozen ground so instead is pooling. 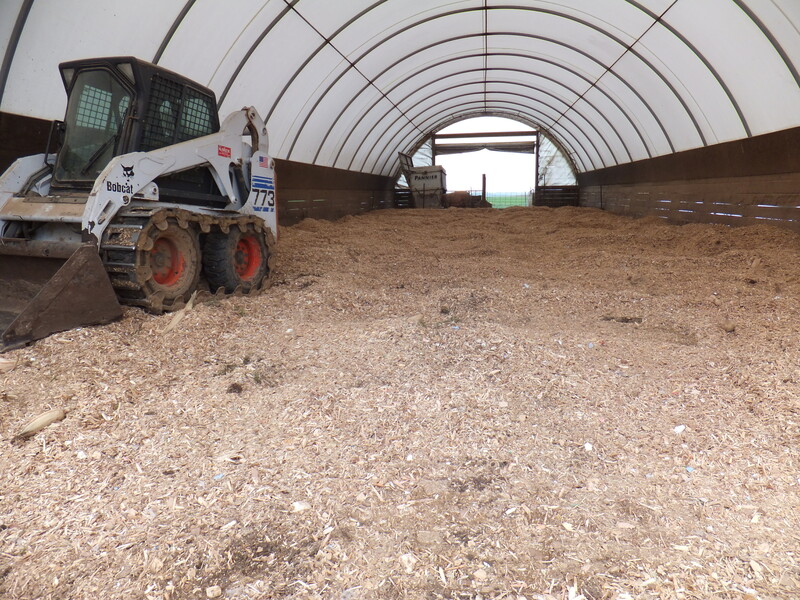 So I keep adding wood shavings trying to build a little dry hill for the sow and piglets. It seems to be working. If a piglet lives the first day, really the first couple of hours, it is staying alive. This has been another learning experience for me. Yesterday as the rain fell I despaired, but today I’m back to my optimistic self. Below is probably the best litter so far. I’ll let you know how many piglets are weaned from this difficult farrowing group. You are currently browsing the archives for the Curious livestock costs category.